Như Quỳnh is a contemporary Vietnamese folk singer. She is known all over the world and is still one the most popular singers in the Vietnamese music industry today. Many of her notable songs include "Chuyen Hoa Sim", which was the song that made her famous, "Chuyen Tinh Hoa Trang", "Nhu Vat Nang", "Mua Buon", "Vang Trang Khoc", and "Nguoi Tinh Mua Dong." She is also known for singing the music of Anh Bang, who wrote many songs especially for her, such as "Chuyen Hoa Sim", "Chuyen Tinh Hoa Trang", and "Mua Buon". In the past 10 years, Nhu Quynh's stellar climb to the top of the Vietnamese music industry has set her apart from many of her contemporaries. Today, Nhu Quynh is a mega star in the Vietnamese music circle with her own record label(Nhu Quynh Entertainment). Her first album (Chuyen Hoa Sim) sold out and is still in high demand. Her appearances in music videos have proven the selling point for the producers. Like a brilliant star, Nhu Quynh's fame came to her very quickly. Many critics speculate that her success and stardom will only reach greater heights as Nhu Quynh is still very young at that time. She also has great command over her voice and a varied repertoire in her musical skills. Since her debut, Nhu Quynh has steadily developed into a very solid performer. Nhu Quynh was born in the township of Ðông Hà in the Quang Tri prefecture of Vietnam. She has two younger brothers, Tuong Duy and Tuong Khue, and an adopted brother Tuong Nguyen. Her performing skills were apparent from a very young age and she regularly performed on the stage of her elementary school. She attended Trung Vuong High School in Saigon and then studied music under professor Bá Thái of the Vietnamese National Music Institute. She performed on local television programmes for children, and taught music to young children in Saigon. In the spring of 1993, Nhu Quynh's family immigrated to the United States and settled in Philadelphia, Pennsylvania. In 1994, her parents met a fellow countryman with connections to Asia Productions. Her first appearance is on Asia Video 5 with the song "Nguoi Tinh Mua Dong" translated from Chinese to Vietnamese by Anh Bang directed by the songmaker Truc Ho. This music left an unforgetable image of a beautiful singer with a sweet voice. After her first appearance she came back with another song in Asia Video 6 with her song "Chuyen Hoa Sim" written by Anh Bang again. She proved to many that she was capable of singing many genres and styles of music. During Nhu Quynh's early stages, she came out with three of her own albums which all are from the Asia Entertainment Productions. 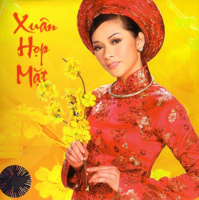 Her first album was NHU QUYNH 1 "Chuyen Hoa Sim", which included her two hits, "Chuyen Hoa Sim" and "Nguoi Tinh Mua Dong", as well other songs such as "Mong Du" (written by Pham Duy). The CD "Chuyen Hoa Sim" is one of the best sellers in Vietnamese Music industry. 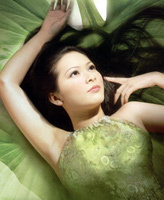 Her second album, NHU QUYNH 2 "Rung La Thay Chua" was also a hit, including songs such as "Rung La Thay Chua" as well as "Nhu Vat Nang" (written by Truc Ho), which she and singer Gia Huy made extremely popular. Her third solo album was NHU QUYNH 3 "Chuyen Tinh Hoa Trang", again, another good seller, which included the song "Chuyen Tinh Hoa Trang", another song written by Anh Bang for Nhu Quynh. Along with her solo albums, she also was in other various albums and videos from Asia Entertainment. 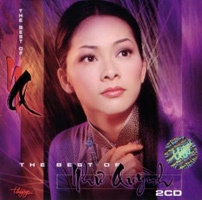 Nhu Quynh's contract with Asia Entertainment ended towards the end of the month of October, 1996 and after that she made her own music production with the name of N-Q Records. After a few successful releases from NQ Records such as "Mot Doi Tim Nhau" & "Em Van Hoai Yeu Anh", there were internal problems within the production. Nhu Quynh ended her recordings for NQ Records and started her new label Nhu Quynh Entertainment. At the same time she signed a contract with Thuy Nga to appear in Paris By Night videos. She made her first appearance on Paris By Night Video 38 in which she performed "Hoa Tim Ngay Xua" and "Toi Van Nho" a duet with The Son which was extremely successful. In performing on Thuy Nga videos she made popular songs like "Cho Nguoi", "Noi Buon Chau Pha", "Tieng Hat Chim Da Da", "Chuyen Di Ve Sang", "Nua Vang Trang", "To Tam", and many other songs. She continues to shine on stage today performing and recording for Thuy Nga. In March of 2006, Thuy Nga released "Nua Doi Huong Phan" which starred Nhu Quynh in a 'Ca Nhac Cai Luong' DVD which also features Manh Quynh as her co-star, Huong Lan, Hoai Linh, Chi Tai etc. This is her first "debut" into the Cai Luong style of music. This style involves the capability of acting as well as singing. In 2007, Nhu Quynh gave birth to a baby girl, named Melody Dong Nghi. There was some controversy over her pregnancy, as she was unmarried (however, she plans to marry in the near future), and details of the father have not been revealed in much detail to the public. However, Nhu Quynh was able to maintain her dignity, and many fans worldwide supported her during her pregnancy. In 2007, Nhu Quynh would make her final appearance in Thuy Nga videos in Paris By Night 89 in Korea, performing "Mua Tren Que Huong." In August 2007, after more than 10 years, Nhu Quynh returned to the production that made her the star she is today, Asia Entertainment. This surprised and shocked many fans and people around the world. However, Nhu Quynh continued to be supported by many of her fans, and she gained many more as well. Her returning performance was in Asia 56 "Mua He Ruc Ro 2007 - Yeu Doi Yeu Nguoi" and was entitled "Mua Buon", another new song written by Anh Bang especially for Nhu Quynh. She then made her second appearance in Asia 57 "The Gioi Tinh Yeu", performing Lien Khuc Trinh Cong Son & Vu Thanh An with other singers, as well as performing a solo, "Khoc Me", a song written by Mac Thien, in Viet Nam. Nhu Quynh is also scheduled to perform in Asia 58 "La Thu Tu Chien Truong - Nhung Tinh Khuc Thoi Chinh Chien 2". 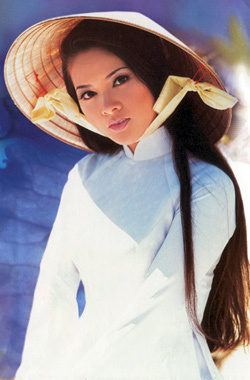 Nhu Quynh continues to be considered the most popular and one of the top Vietnamese overseas singers in the world. She is still in high demand, and is currently working on her 4th solo CD from Asia Entertainment. Nhu Quynh continues to shine in the music industry, and melt the hearts of people around the world.